Pick a Gift Card design to personalize your gift. Personalize your gift with a photo. Find a photo you love. Read and agree to our image guidelines and terms and conditions to make sure you can use it. Upload your photo with the "Add My Photo" button. We reserve the right to replace images that infringe upon trademark or copyright law. As part of your electronic gift card purchase, you (or, if you are under 18 years old, your parent or legal guardian) hereby grant to Landry's and CashStar and their affiliates and agents a nonexclusive, royalty free, worldwide license to use the uploaded image, including all intellectual property rights associated with the uploaded image, to create an electronic gift card of the uploaded image (the "License"). You, (or, if you are under 18 years old, your parent or legal guardian) represent and warrant that (1) your grant of the License does not violate the privacy rights, publicity rights, copyrights, trademarks, contract rights or any other rights of any person or entity, (2) if you are uploading a company logo or other copyrighted materials, that you are authorized to grant the License to use the uploaded company logo or copyrighted materials to create an electronic gift card, and (3) you have full authority and rights to grant the License and to make the representations and warranties contained herein. CashStar reserves the right to cancel any order for an image that it, in its sole discretion, deems potentially unlawful or inappropriate without notice or explanation. We reserve the right to replace inappropriate, offensive or otherwise objectionable images. Click and drag the highlighted area to adjust your image. Click "Save" once you are done. Enter an amount between $20 - $499 USD. 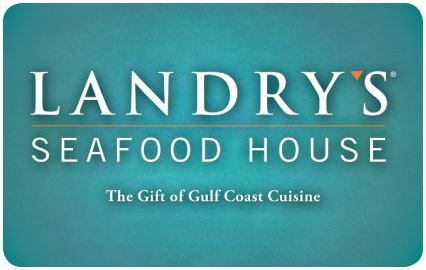 Landry's and Regal egift cards will only be sent to the purchaser's email. 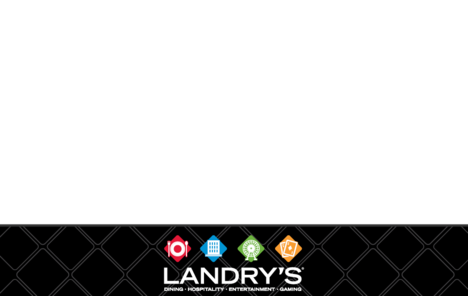 Landry's and Regal egift cards will be delivered separately to the purchaser's email. For a list of Regal locations, click here. Send an email saying a gift is on the way. Please note: Multiple cards shipped via USPS will be shipped one per envelope. Note: We do not have the capability to track USPS shipments. If shipping via standard mail, allow 7-10 business days for delivery. Click here to send an eGift instead. SEND AN EGIFT CARD INSTEAD. © 2019 Landry's, Inc. All rights reserved.